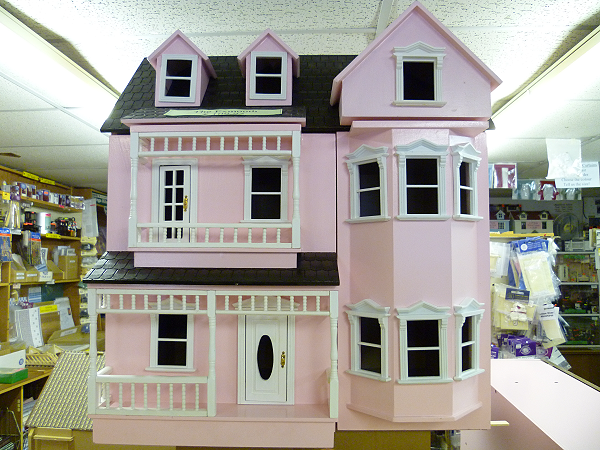 A 2 story house with hinged roof attic and split front opening veranda and bay window. Painted: Pink walls with white windows. 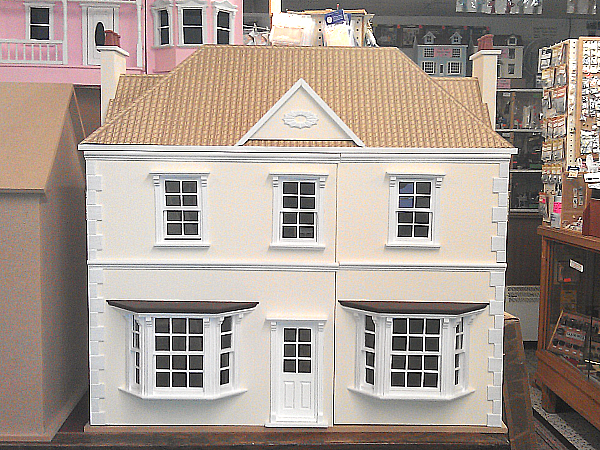 Also available unpainted and in cream. A well proportioned Georgian House. 2 storey, large, 4 bedroom accommodation. Central staircase. Detailed wooden windows. Front opening for full access. 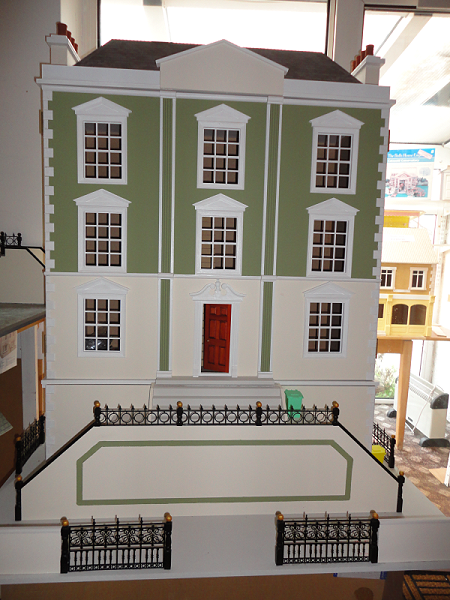 A Georgian style 6 bedroomed house on 3 floors. Two opening front panels. Hipped roof. Impressive front entrance. 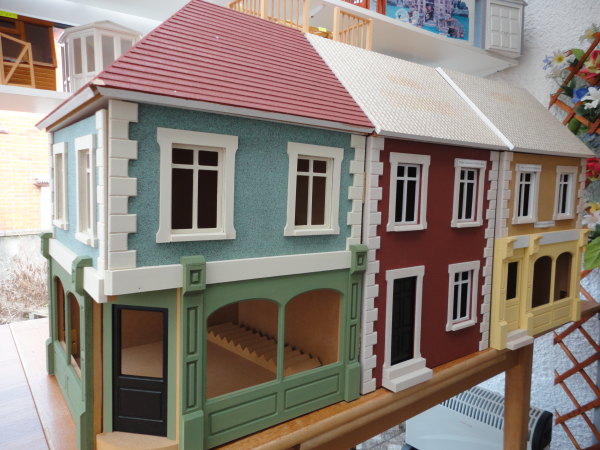 Create a Victorian Street, add as many or as little shops and houses as you like. Corner building with terrace house and shop.